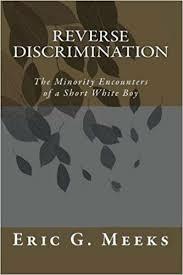 Reverse Discrimination research papers explain the form of discrimination that is directed towards the majority group. Reverse discrimination is a form of discrimination that is directed towards the majority group, frequently attempting to redress historical social inequalities that have existed in society. The concept of reverse discrimination first emerged in the 1970s, when affirmative action began to create opportunities for minorities. An example of reverse discrimination is limiting the number of incoming white students into a university in order to promote minority attendance. In the workplace, reverse discrimination is often used to address levels of minority employment that have traditionally been underrepresented. In order to accomplish this, the majority group will be discriminated against. However, critics point out that those affected by reverse discrimination were not the same people who perpetuated past situations, and are now being treated unfairly. In the United States, the number of reverse discrimination cases filed in the court system has more than doubled since the 1990s. A significant percentage of young, heterosexual white men believe that they have been discriminated against by minority groups. However, surveys show that only between 2 and 13 percent of whites admit to having personally been denied a job, promotion, or college admission because of their race. Many contend that what is called reverse discrimination is not negatively affecting the majority, but helping a minority group. Racial Discrimination in America research papers examine prejudices of races in America. The Abercrombie and Race Discrimination legal case involves the issue of race discrimination in the workplace for A&F's "White Appearance Policy". Bigotry is characterized by strict adherence to one’s existing assumptions or prejudices against an entire group. Laws Against Racial Discrimination are in the 13th and 14th amendments to the Constitution of the United States of America and by the 1871 Civil Rights Act. Racial Discrimination research papers examine the legal, moral, and ethical issues involved with race discrimination in American workplaces. Workplace Diversity - According to recent reports, more minorities are entering the U.S. workforce than ever before in history. Systems of Inequality - in terms of power, a person may be a member of a dominant (or majority) group as well as a subordinate (or minority) group at the same time. Paper Masters writes custom research papers on Reverse Discrimination and explain the form of discrimination that is directed towards the majority group.